MELROSE ARCH – HiDSA got a lot of persons living with disabilities in one venue to discuss the challenges faced and propose ways forward for persons with disabilities. People with disabilities can often be forgotten when major policies or decisions are made, however, the Hlanganisa Institute for Development in Southern Africa (HiDSA) decided to do things differently. The Institute held the launch of a new research report titled Amplifying the voices of women living with disabilities and affected by gender-based violence at the Glen Hove Auditorium in Melrose Arch. The report focused on risk factors to gender-based violence for women living with disabilities in South Africa and was aimed at addressing their increased vulnerability to gender-based violence (GBV). Motene added that she picked herself back up and joined Powa (People Opposing Women Abuse) and encouraged people to stop the stigma on people with disabilities by seeing them for who they are and their achievements before associating the wheelchair with their achievements. Miranda Lephoko from the National Council of and for People with Physical Disability also shared her story about her late husband who shot at her and then himself thereafter after so many disputes throughout the marriage. “The man always said he could attend therapy as many times as possible but if he wasn’t ready to change, he wouldn’t. “After shooting me twice, I woke up from an eight-day comma where I was told my spine was damaged. I was since introduced to the world of disabilities. 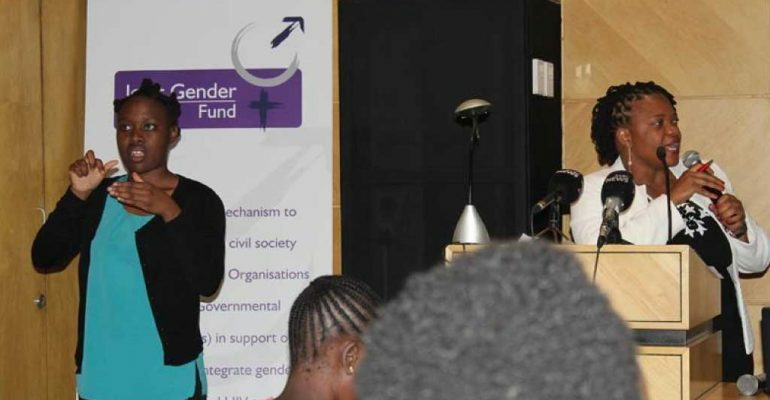 Programmes manager at HiDSA, Chiedza Chagutah presented the research findings which highlighted isolation and neglect of women with disabilities and most of them are then predisposed to GBV. Chagutah gave recommendations such as, ‘a need for interventions that target schools for learners with disabilities so that they grow up to be able to fit in as economic role players. There is also a need for training and orientation of different service providers such as the police and health workers’.